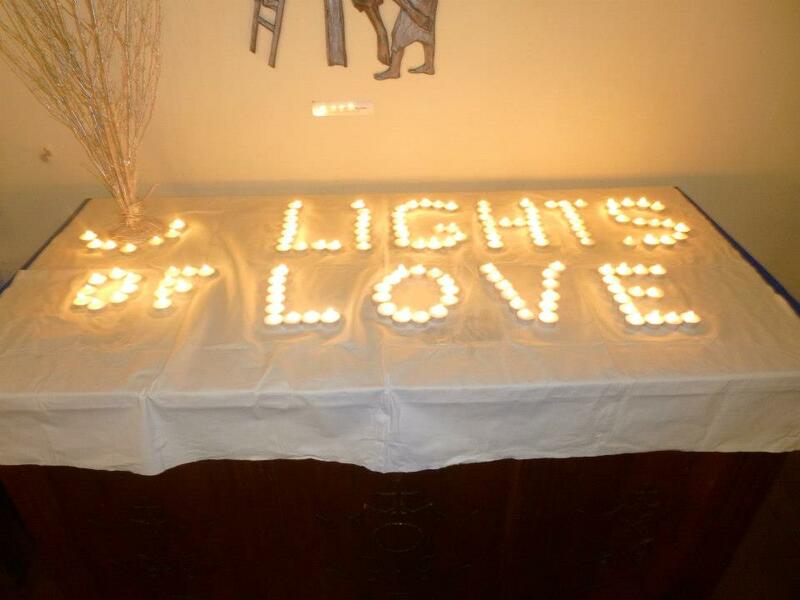 Every year at the start of December, Sands Stillbirth and Neonatal Death Charity hold a ‘Lights of Love Service’ at St Saviour’s Church in Splott, Cardiff. This is comprised of carol singing, Christmas songs, and poetry reading to help support families who have lost children through stillbirth and neonatal deaths. The families who have been effected are able to light a candle during the service, write a tag for the tree and also donate a present in memory of their baby which will be then given to The Big Wrap Charity via Cardiff City Football Club. “My name is Heatherjane Coombs and 13 years ago I had never heard of the Charity Sands (Stillbirth and Neonatal Death Charity). Then my life changed forever when on the 1st September 2004 at 36 weeks pregnant I was told the heart breaking news that my son Xander’s heart had stopped beating and mine had been broken forever. That night my husband Dave and I heard 7 babies being born and hearing their cries and realising that Xander would never make that noise was devastating and traumatising. On the 3rd September Xander was born sleeping and later that evening we left the hospital with a little book of hand and foot prints, lock of hair and some black and white pictures taken by the hospital photographer and some my dad had taken. We felt so alone and thought losing a baby must be such a rare occurrence. We soon found out that we were wrong and thankfully after searching google I found Sands who support ANYONE affected by the death of a baby, and although nothing in our area they did put me in touch with Donna in West Wales. A befriender is usually someone who has experienced a loss and has been then trained by Sands. Being able to talk to her and her understand made such a huge difference. Dave and I really wanted to be in a position we could help other couples. Sands put us in contact with Caroline Allsopp and Claire Roberts who were both bereaved mum’s who were interested in helping to set up a group. Our first event was held for Babyloss Awareness Month and our first meeting was held on the last Friday in October 2006. We started small with just one hospital – UHW and over the years and our meetings became busier, as well as Dave and I, we gained more befrienders – William, Lisa, Sara, Gemma, Naomi, Pip, Fi, Ed, Carolyn, Caroline and Claire. Having dad’s at the meeting, encouraged other dad’s to attend as we appreciated how much dad’s also needed an outlet to talk. As we became bigger we branched out to become Cardiff & Newport Sands and also covered the Royal Gwent and Royal Glamorgan. We have opened 4 bereavement rooms, in the Royal Gwent, UHW and the Royal Glamorgan which are rooms families can spend time with their baby before saying goodbye. All our rooms have double beds and we also have cuddle cots which allows the babies to be with the family for longer. We couldn’t have done that without all the generous donations we have received and people who have supported fundraising events. We also sponsor training for health professionals and student midwives, as well as many other projects. We hold a monthly support meeting at St David’s Hospital in Canton, Cardiff on the last Thursday of the month between 7pm-8.30pm and also a next pregnancy meeting at the same venue from 7.15-8.45pm. Thanks to our befriender Pip who came up with the idea and ran it for a number of years, we now have a sunshine and rainbow baby group as well. This is for parents who have young children who are unable to make evening meetings. These meetings are held during the morning and the children are welcome. They are now ran by Carolyn on the 2nd Friday of the month between 10-12am at the Little Black Sheep Pottery in Pontyclun. We are hoping in the New Year to start a Grandparents meeting once a quarter. This year our service is on Friday 8th December at 7.30pm. There will be a raffle and refreshments at the end of the service.